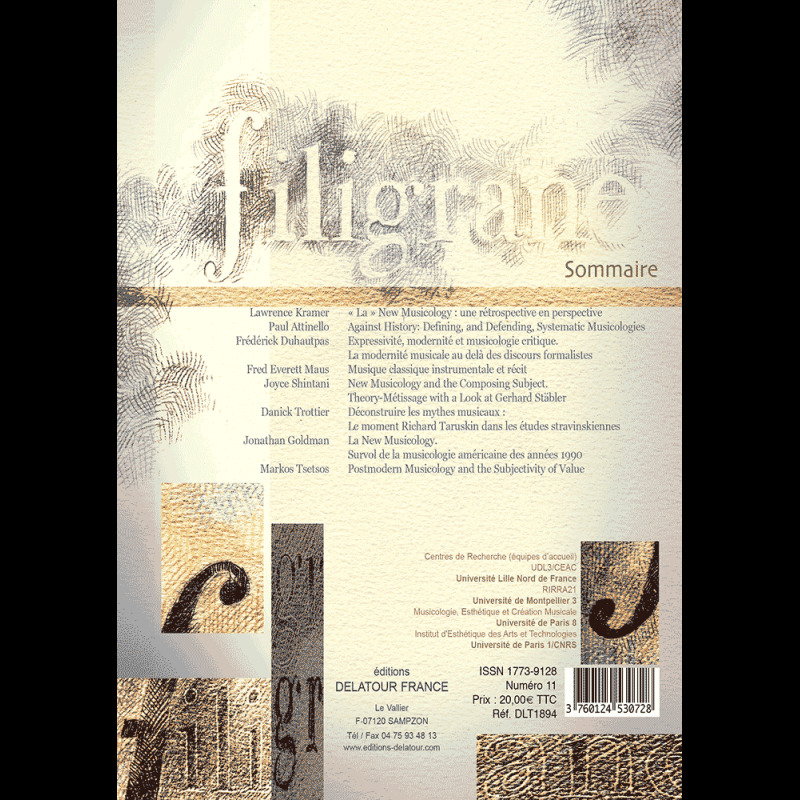 Revue Filigrane n°1 - Musicologies ? The so-called "New Musicology" has largely been concerned with the personal, the political, the social. But in the early 1990s, when I was a doctoral student involved in some of the arguments in favor of its existence (that is to say, while editing the Newsletter of the Gay & Lesbian Study Group of the American Musicological Society, as well as working on various postmodern and post-structuralist theories in my master's and doctoral theses at UCLA), I had my own somewhat distinct research interests. Some of these interests, as represented in later writings, fell into line with the broader trends regarded as significant at the time. But others were more abstractly related, through a parallel but quite different line of argument, to breaking away from other self-enforcing assumptions about musicology's appropriate objects and methods. 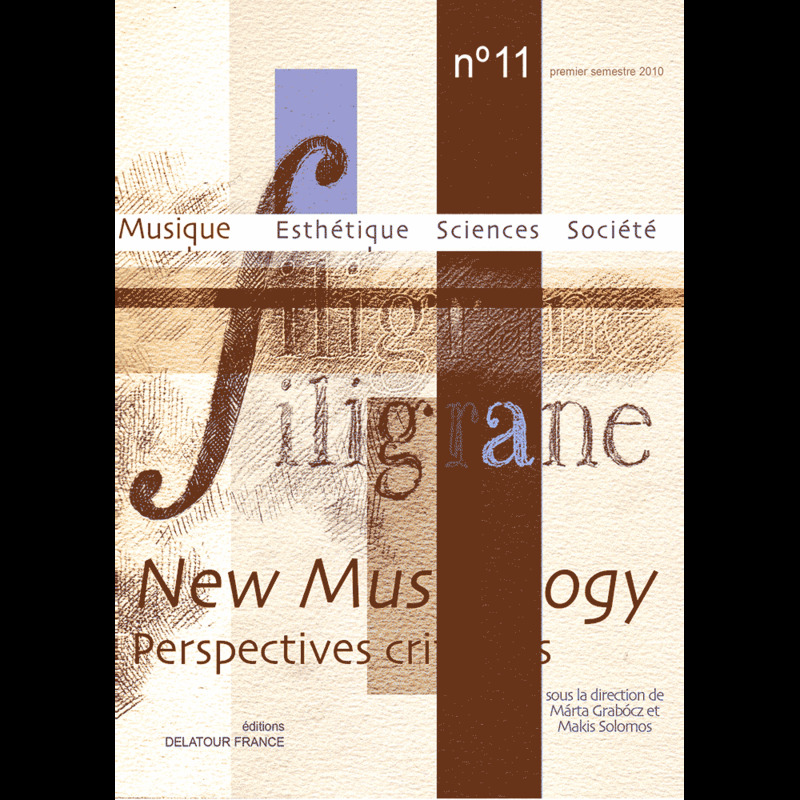 New Musicology and the Composing Subject.